Localized Percussion “massage” therapy is a special kind of massage performed using a hand-held device. 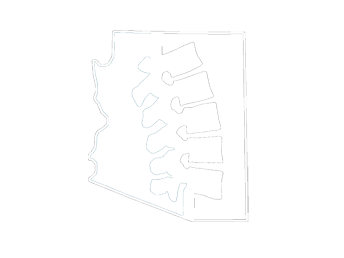 At Arizona Chiropractic & Holistic Health Center, serving Scottsdale, Arizona and the surrounding area, we use 3 different hand-held devices: the rapid release pro 2, the vibracussor, and the G5 GK-3. They are all very similar in that they deliver rhythmic vibrations deep into the muscles. Localized Percussion “massage” therapy works as a deep joint/ tissue massage breaking up scar tissue which restricts the body’s fascia. The fascia is the thin layer of connective tissue that covers and supports all muscles and inner organs. When a trauma occurs the body produces extra tissue, known as scar tissue, to protect the damaged area. Scar tissue is tougher and less flexible than the regular fascia, restricting its range of movement and causing pain when it is pulled. Localized Percussion “massage” therapy breaks up scar tissue in the fascia allowing it to move freely, reducing chronic pain to older injuries. Localized Percussion “massage” therapy can also help treat muscle tension, which doctors believe is the main cause of back pain. Muscle tension is a condition where muscles remain partially contracted for an extended amount of time. Muscle tension occurs when every day stress triggers a physiological response within the body, constricting the blood vessels and reducing blood flow to the body. The rhythmic tapping of these hand-held devices are proven to increase blood flow granting immediate pain relief to sore muscles. Find Out What Percussion Massage Can Do For You! We have experienced great success in relieving pain through Localized Percussion “massage”, even when other treatments have failed. We look forward to seeing you for your percussion “massage” in Scottsdale, AZ! If you have any questions, don’t hesitate to ask or give us a call.